Dams has launched the next generation of its best-selling Elev8 sit-stand desks, which allow the user to electronically adjust the desk height from sitting to standing positions with the touch of a button. 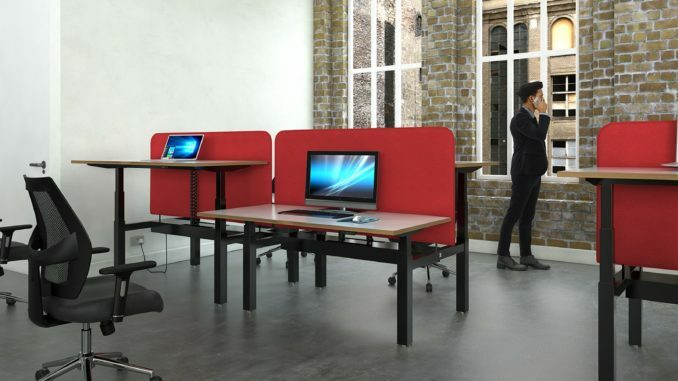 The Elev8² desks are available as single, back-to-back or bench desks to cater for all types of office. They are also available in single or twin motor variants, providing affordable features and durable design to transform the workplace with healthy flexibility and mass appeal. Managing director of Dams, Chris Scott, said: “The new Elev8² desk range provides the ideal solution to address the issue of employees who have a sedentary desk job, and who do not spend enough time standing during the work day. There are two main reasons for looking at a sit-stand desk solution – the ability to sit and stand during the average working day has huge health benefits to the user and it’s this active working style that encourages increased staff productivity and reduces absenteeism.